From teens to veterans to seniors to Internet gambling and much, much more, the focus will be on problem and compulsive gambling at the 26th National Conference on Problem Gambling. More than 400 people are expected to attend the conference July 13-14, 2012 at the Hyatt Regency, Milwaukee. Dr. Jeff Derevensky, Dr. Bill Eadington and Angela Wiczek’s keynote address on the implications of recent laws to allow states to legalize internet gambling. Many other presentations and panel discussions are also on the agenda for the two-day conference. In addition, the Prevention Showcase on Saturday afternoon will feature presentations on school-based programs from K-12 through college. There will also be two days of intensive Pre-Conference Workshops, to be held Wednesday, July 11 and Thursday, July 12. 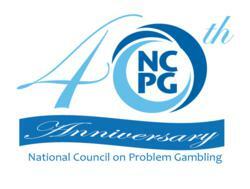 The National Conference on Problem Gambling is the largest and oldest conference on problem gambling in the world. Its focus is to bring together leaders in prevention, education, treatment, responsible gaming, research and recovery. This is the first time the conference has been held in Wisconsin. More information about the 26th National Conference on Problem Gambling is available at http://www.ncpgambling.org/conference. The National Council on Problem Gambling is the national advocate for programs and services to assist problem gamblers and their families. The mission of the NCPG is to increase public awareness of pathological gambling, ensure the widespread availability of treatment for problem gamblers and their families, and to encourage research and programs for prevention and education. Visit http://www.ncpgambling.org for more information. If you or someone you know has a gambling problem, call the National Problem Gambling Helpline at 1-800-522-4700 for local confidential help.